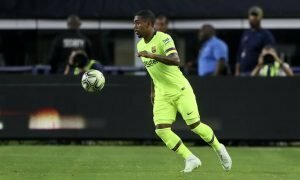 Arsenal in talks to land record-breaking striker deal | The Transfer Tavern | Where football transfer rumours fly or die! Arsenal fans in the Transfer Tavern haven’t been optimistic about making any new signings but they’ve sparked into life this afternoon, following reports of significant developments. TalkSport state Arsenal have made an enquiry to Juventus concerning striker Alvaro Morata, with the Spaniard looking to find form that can land him a spot in Spain’s European Championship squad this summer. The forward has attracted vast interest from the continent and although Juventus do not want to sell, a bid that matches Morata’s valuation of £49.6m would be hard to turn down- and that price would break Arsenal’s figure for a record signing. 23-year-old Morata is one of the finest up-and-coming strikers on the continent and Arsenal need attacking reinforcements, with the Gunners title campaign set to be shattered should top-scorer Olivier Giroud hit any injury problems or loss of form. North London rivals Tottenham have joined Arsenal in pursuit of a deal, with the Premier League duo believing a deal could be reached before the mid-season window slams shut next Monday. 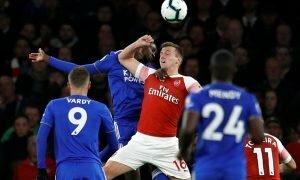 Our landlord believes Arsenal should go all-out to secure this deal, stating Morata’s signing could be the catalyst to propel Arsene Wenger to his first Premier League trophy in 12 years. Arsenal fans, do you need Morata? Let us know in the comments below!